DSPMCHINF is used to retrieve system information as well as license status. 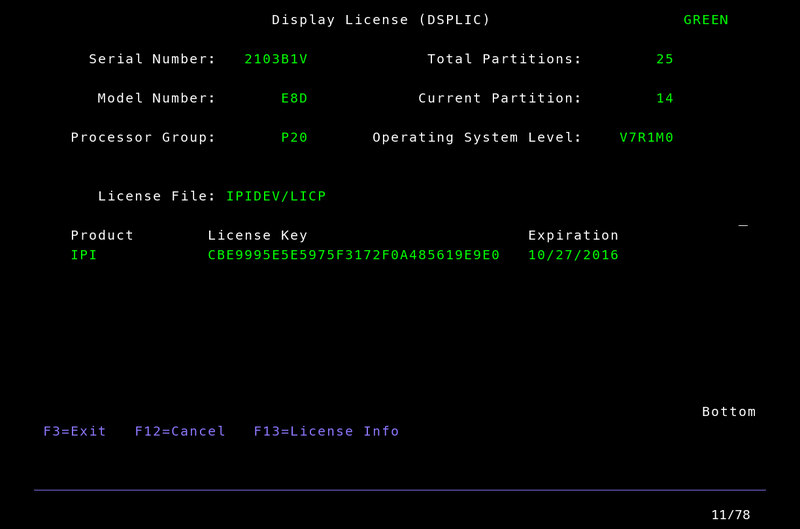 Note: DSPMCHINF is an alias for the Display License (DSPLIC) command. These commands may be used interchangeably.